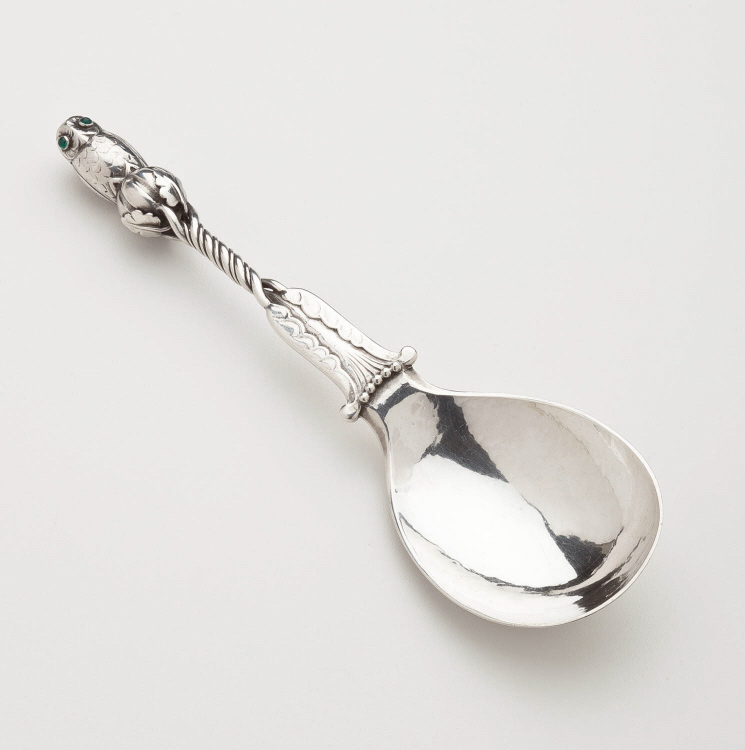 Georg Jensen 'Owl' Serving Spoon No. 39 with Green Agate. This serving spoon is in a rare and antique 'owl' design by Georg Jensen. The eyes of the owl are in green agate. This serving spoon measures 7.75 inches long. The spoon bears impressed marks for Georg Jensen circa 1915-1930, Copenhagen. This serving piece is in excellent condition.